At Five Star, we understand that moving should be a time of excitement and anticipation. However, it can become a flurry of stress and hectic activity. We offer seniors a wide range of assistance, consolidating the many details required for a successful change of residence. 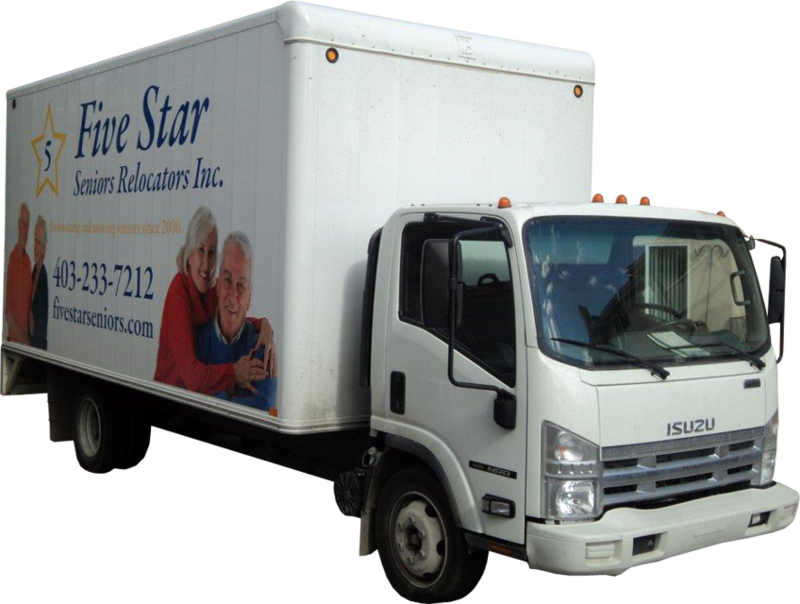 On May 1st., 2000, the vision of providing seniors with a complete package of moving services came to fruition with the inception of Five Seniors Relocators. Our services allow seniors to downsize and relocate seamlessly and with as little stress as possible. Assisting seniors with downsizing has added another dimension to our services, which is very gratifying. Our services allow seniors to downsize and relocate as seamlessly and with as little stress as possible. Frequently, we have the task of disposing of excess furniture and other useable items and are therefore able to donate these items to homes and organizations where they are very much appreciated. Since the inception of our company in 2000, it has become a true family business. Our company is managed by family members who are supported by a customer service-oriented team. We have assisted thousands of seniors with moving into various levels of housing and have maintained our mandate to help seniors exclusively. None of our services are subcontracted. We utilize our own moving trucks. Currently, we relocate seniors throughout Alberta and the BC borders. Thank you very much for helping mom and us! You made her move so smooth and organized! You and your staff were great! Thank you… your employees were fast, careful, and courteous! …this note to let you know how pleased I am with the move. I will heartily recommend your company to others. Thank you for all your help. You are a life saver! Thanks to your “guys” too! Many thanks for your help with our moves. I wanted you to know the gentlemen in your crew were fantastic.